It’s time for our first book club selection of the new year! 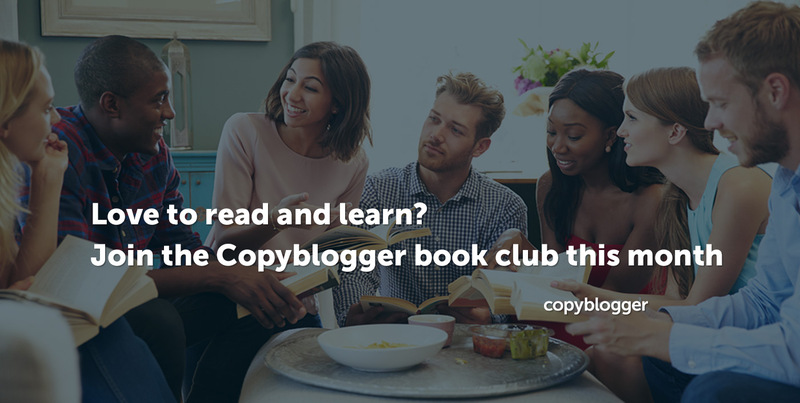 Over in Copyblogger’s Killers and Poets Facebook Group, we get together and discuss useful books. It’s informal and a lot of fun, as we share insights and our favorite quotes or passages. Paul’s book is all about making more conscious choices around the size of our businesses. It’s so easy to get caught up in the notion that “bigger is always better,” but that isn’t always the case. If you want more information about the book, or want to know where you can pick it up, here’s where you can learn more about Company of One. By the way, you may be wondering if we have an affiliate relationship with Paul — we don’t. While we have no problem with affiliate marketing (we think it’s a great strategy), our book recommendations are just that — our takes on a few selected business and writing books that are worth your time and attention. We also talk about writing, marketing, copywriting strategy, and share resources and ideas. It’s a friendly, small group, the kind that reminds us that there are still good experiences to be had on Facebook. I’m looking forward to chatting with you there! I’m reading it right now. Everybody should.